Here are some quick and easy relaxation techniques - actually 40 of them! Do something indulgent just for yourself. It doesn't matter how big or small, it just has to have meaning for you. I'm sure you've experienced the stress busting power of doing something just for yourself in the past. Maybe it's running a hot bath, or curling up with a new book. Maybe it's going out and getting your hair and nails done, or heading out for an overnight fishing trip. Maybe it's buying craft beer and an MMA pay per view. No matter what it was, it felt good to do something selfish and you felt more relaxed and less stressed during and after. If you're the type of person who has a hard time doing something for themselves and would rather do something nice for others, I need you to take today's tip to heart. It will have a huge impact on your life, your relationships, and it will work like a charm as a stress buster for you. If you don't take care of yourself and do something selfish every once in a while, you'll get more worn out and more stressed as time goes by. Because of that you're not the best mother, father, friend, coworker, business partner etc. that you could be. When we're stressed out, we aren't thinking clearly. We aren't as patient as we could be. We aren't always were kind. It's easy to snap at the slightest provocation and regret it later. Don't get to that point. Take care of yourself first and make sure to treat yourself every once in a while. The people around you will benefit from it. Your other worry may be financial. Some of these indulgences will cost money and you may be reluctant to spend it on yourself. There are two solutions to this problem. The first is to find things that cost nothing or very little. Carving out some "me-time" and spending that time on something you enjoy, such as a hobby, doesn't have to cost much or anything. Taking a hot bubble bath and listening to music doesn't. 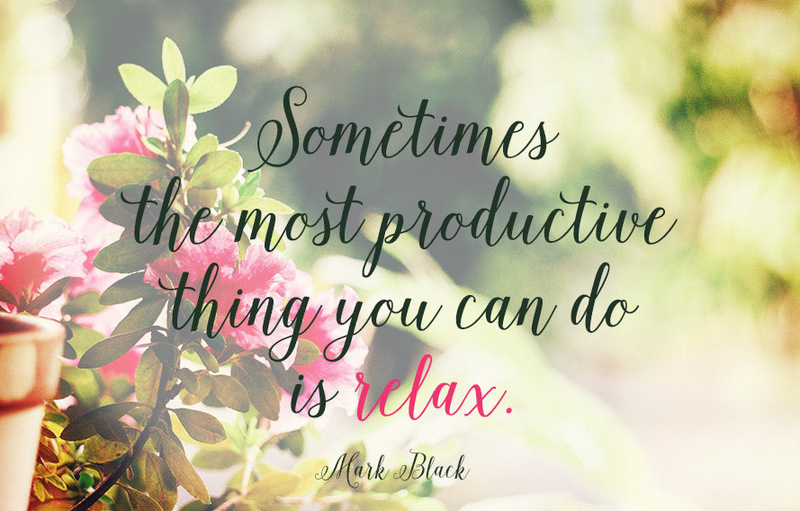 Pick a few things that relax and distress you but don't cost anything. The second solution is to use spending money as a motivation to make more. Get a side hustle, work on your business, put in an hour or two of overtime, or find a few extra savings in your budget to make up for the money you're spending on yourself. Whatever you decide to do, don't feel guilty about treating yourself every once in a while. If, on the other hand, you're someone who has no problem treating themselves you may want to use this with caution. You want to treat yourself when you're stressed and you've worked hard. Think of it as a treat that you have to earn first. Don't use it as an excuse to go out shopping and max out those credit cards! That's not the idea behind this quick stress buster. Just a square (about 1.4 ounces) of the sweet stuff can calm your nerves. Dark chocolate regulates levels of the stress hormone cortisol and stabilizes metabolism . This is my kind of easy relaxation! Sometimes there’s nothing more satisfying than munching away on a candy bar when we're stressed—one study found stressed adults craved crunchy and salty snacks more than usual. But that salty crunch doesn’t have to be so sugary—a handful of trail mix or a bag of celery sticks will work just as well. No need to go on a retreat to the mountains—five minutes of peace is all it takes to reap the benefits of meditation. There's evidence that just two quick bouts of silent meditation per day can relieve stress and depression . 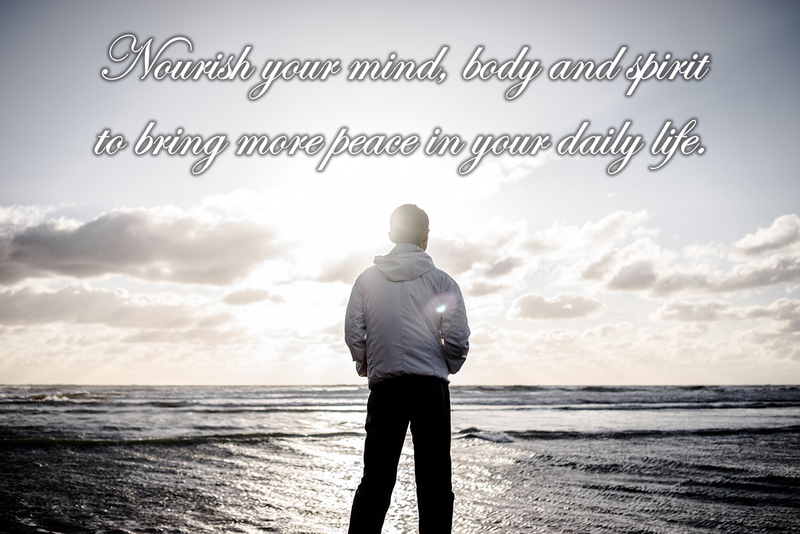 Find a comfortable spot in a quiet place, concentrate on your breath, and feel those anxieties start to disappear. There are days when all we really need is a nice, long nap. But it’s not always possible to start snoring in the middle of the office. If you’ve got a pillow, you’re already on the road to relaxation. Try this visualization technique: Lay your head down for a few minutes and imagine the pillow is a sponge soaking up all your worries. I love this easy relaxation technique! Slow, deep breaths can help lower blood pressure and heart rate . For the fancy noses out there, try pranayama breathing, a yogic method that involves breathing through one nostril at a time to relieve anxiety. The technique’s supposed to work the same way as acupuncture, balancing the mind and body (and possibly eliminating the need for a tissue). The doorbell rings. It’s Ryan Gosling (or Elizabeth Banks), and he/she wants to know if you’ll marry him/her. “Yes!” you shout and then—sorry, time’s up. These little daydreams, also known as "creative visualization," involve thinking of something that makes us feel happy. It’s an instant mood boost on hectic days when we’re feeling tense. James Taylor said it: "You can close your eyes, it’s all right." Take a quick break from a busy office or a chaotic household by just lowering your eyelids. It’s an easy way to regain calm and focus. No spying on the neighbors allowed. When things get hectic, take a five-minute break to do nothing but stare out the window. Looking at nature scenes like trees and public parks can be a lot more relaxing than staring at the TV screen. Some light entertainment is okay, but generally speaking, watching TV is really not the easy relaxation method it's cracked up to be. A stack of papers, three tape dispensers, a bunch of misshapen paperclips: All this clutter could be contributing to stress. Take a few minutes to reorganize your desk(or table, or wherever you are), leaving just what you need on top. “Dear Diary: Today I feel STRESSED. I want some easy relaxation.” Just putting our emotions on paper can make them seem less intimidating. Try journaling before a big exam and it just might improve your score . Beyonce, Blondie, or the Biebster, sometimes belting out the lyrics to a favorite tune makes everything seem all right. If you’re in a public place (that isn’t the opera), just listening to music or colored noise can be a quick fix for a bad mood . Classical music can be especially relaxing right before bedtime. Number 10 across: Anxious, overwhelmed, or freaking out (seven letters). If you guessed “Stressed,” you’re in good shape to try some crossword puzzles. Brain games that require lots of concentration can help take our mind off of whatever is worrying us . Really, stop and smell ’em. Certain scents can change our mood, and it’s hard to feel angry or upset with a nose full of roses . Keep a fresh jar of your favorite flowers near your work space or in the living room, and take a whiff whenever anxiety strikes. A boyfriend or girlfriend is okay, but they’re (usually) not furry enough. After a rough day, snuggle with a pet for an instant slobbery smile, since pets can boost self-esteem and even ease the sting of social rejection . Stressed? Me? Ha! Laughter’s one of the sillier ways to beat stress, but there’s science behind it. A fit of hysterics can increase blood flow and boost immunity. Keep a book of jokes handy in the desk drawer or check out a hilarious YouTube video (maybe a piano-playing pug?) for a quick pick-me-up. Now this is my idea of easy relaxation! Crashing waves, warm sand, a gentle breeze ruffling your hair. Well, at least the image is nice. Take a break from work and start browsing the web for some future vacation spots. Sometimes the whole fun of a vacation is in the planning, anyway . Ready to commit to looking after YOU? GET WITH THE PROGRAM!